The Wabash County Health Department will host two open vaccine clinics for children who need vaccinations to enter school. The clinics will be held at the health department. The first clinic will be on Friday, Aug. 1, from 8 a.m. to 4 p.m. The second clinic will be on Monday, Aug. 4, from 8 a.m. to 6:30 p.m.
All students entering grade 12 will need a meningitis booster vaccine if they received their meningitis vaccine before their 16th birthday. This year, Hepatitis A has been added to the vaccine schedule for students entering kindergarten. If your kindergarten student had the first Hepatitis A vaccine in March at Kindergarten Round-up, they are not yet due for the second dose. The health department requires that you bring your insurance information to the clinic. If you have questions about the clinic, or need to know if your child is current on their vaccines, please call the health department at 260-563-6082. Please bring your child’s vaccine records to the clinic to be updated. All copies of vaccine records cost $1. Not exactly what I’d want to include on a resume or put up on a college application! I can see it now. I had plenty of time to contemplate life both inside and outside the heavy metal door that clanged shut with such finality on the good, the bad, and the ugly. In those years, I learned firsthand about elements of life to which some people are never exposed: evil, deception, violence and weakness. I grew up more rapidly than most teenagers, as I was involved with men and women from all walks of life. I, however, was free to enter and leave through the front door. 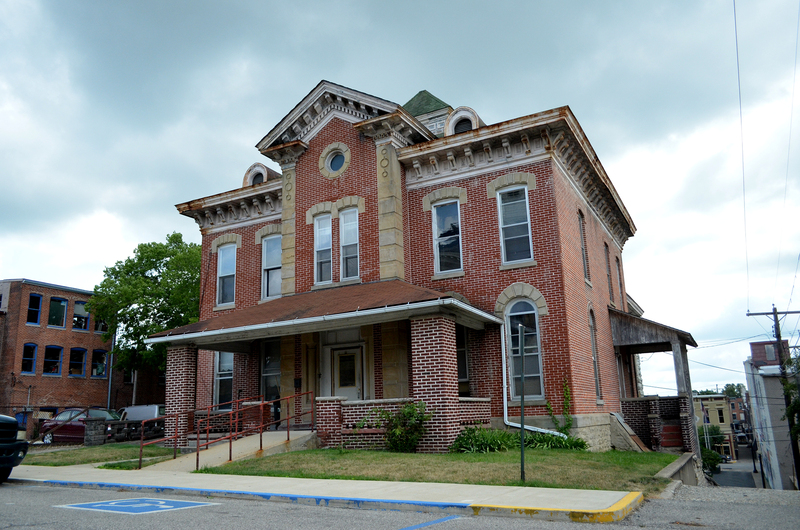 My dad was County Sheriff Cecil Reynolds, keeper of the jail, and this was home for my parents, my dearly loved grandma, and me. During the 2014 Wabash County Fair week, the LIFE Center had an information booth like many other businesses in Wabash County. They were the booth with the adorable baby photos on display. Every year the LIFE Center holds the Precious Baby Contest as a way to raise funds for the center’s expenses. This year, the Precious Baby Contest had 34 adorable contestants, but only one could take home the 2014 Precious Baby title. That Precious Baby was Weston Pretorius. Weston is the son of Joe and Andrea Pretorius. Each contestant’s photo was on display throughout the week, with a number assigned that corresponds to a jar where the public can vote by putting money in the jar of the most “precious” baby. When the week was over and Pretorius was crowned Precious Baby, the center had raised $1,500, which will be used to buy supplies. As you travel around the county, you may have noticed thin yellow signs with a bike and an arrow going up in many new locations. 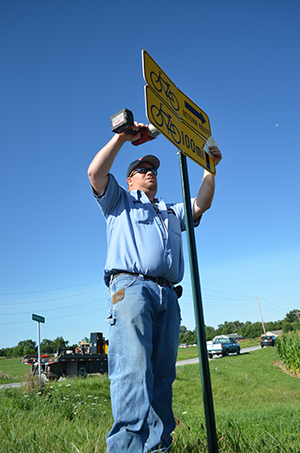 On Thursday, July 17, the last of 102 signs was fastened to its post outside Lagro to complete the 104-mile Wabash County Bike Trail. Years ago, the county mapped the route for a bike trail based on features that cyclists look for in a route. The current route begins and ends at Paradise Spring Historical Park, taking cyclists along low-traffic roads past 17 historic points of interest from Lafontaine and Somerset to Roann and North Manchester. It also links Salamonie and Mississinewa reservoirs. 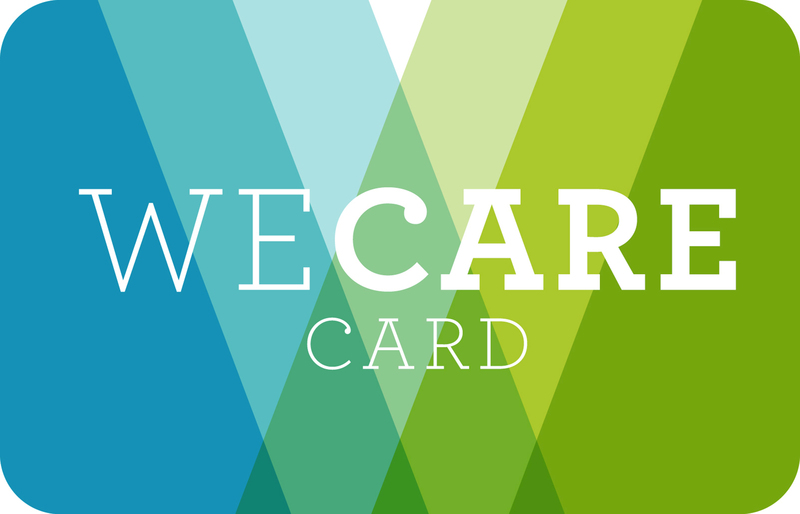 In November, Wabash native Jessica Weiss will be making big waves in the world of crowdfunding and prepaid cards with the release of the WeCare Card, a project she’s been working on for more than three years. The card will, for the first time, combine the two industries, allowing for donation-based crowdfunding campaigns to upload money raised directly to a prepaid Mastercard product. Jessica, who worked as a nurse in the neonatal intensive care unit for nearly 20 years, has long seen the struggles many families have as they try to balance urgent medical needs with everyday life. Primary among these struggles is, all too often, financial hardship. These struggles hit home when Jessica’s husband, Brad, was diagnosed with a brain aneurism in 2009. Last fall, Gary Henderson and his friends discovered a way to do something they love – smoking meat on a barbeque – while supporting a local non-profit – the LIFE Center. 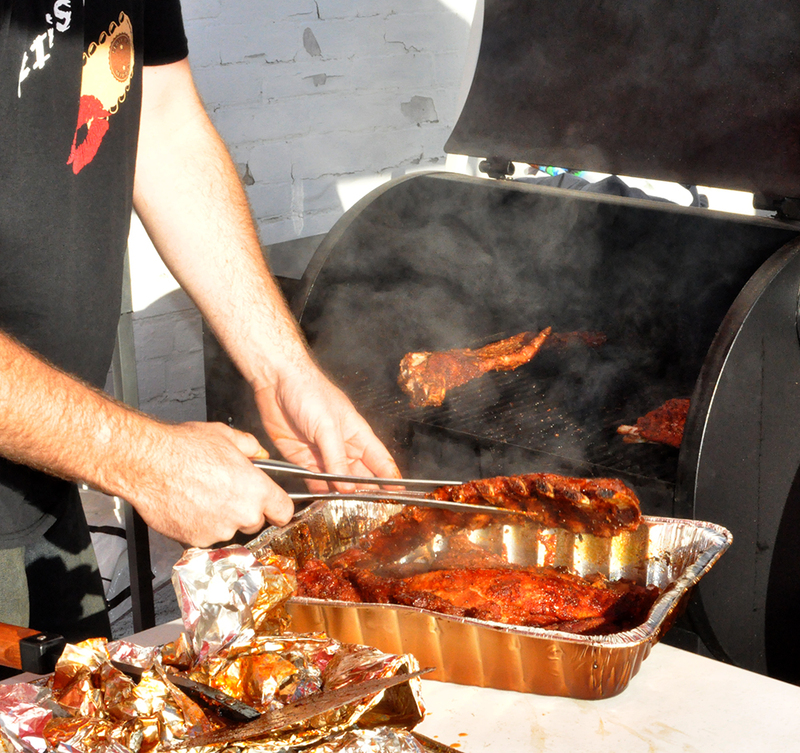 After hauling their smokers to the parking lot of the Wabash County Historical Museum and cooking through the night, they managed to serve nearly 800 people and present the LIFE Center with $6,300. With this success, Henderson and his fellow smokers decided to make it an annual event. This year, there will be a few changes. For one, the event has been moved to Paradise Spring Historical Park, which is a bit more scenic and spacious than the parking lot. The timing has also been tweaked a bit. When we reach adulthood, our priorities and responsibilities should change. We are at a stage of our lives where we need to be self-reliant, not depending on our parents, grandparents or others to take care of us. Being an adult brings the responsibilities of taking care of the children we have helped bring into this world. Their needs should take priority over our wants. As responsible adults, we need to provide for our families, unless we have a physical or mental disability or age prevents us from doing so. Every person who lives in Wabash has the opportunity to receive free food from the following locations after they have exhausted their food stamps and WIC. For those who just don’t have quite enough funds to purchase food for the month the following is a list of service organizations, times and dates, that will help with food and cooking classes. Also, there are various churches throughout the county, which give food vouchers or gift cards to purchase food. Food pantry: First Monday of the month, except on holidays, then the following Monday, 9:30-10:30 a.m. You must live in Wabash County and provide proof of residence. Hot meals program: Everyone is welcome during the last two full weeks of the month, except Thanksgiving and Christmas, then serving dates are one week earlier. Serving time is 5-6 p.m. Delivery is available for those who can’t get out due to disabilities. The contact number is 260-563-8775. Grissom’s runway re-opened at 7:30 a.m. July 16, and it didn’t take long for the unit’s jets to start making their way home. The first KC-135R Stratotankers began arriving at 10:30 a.m. following relocation to Wright-Patterson Air Force Base, Ohio on June 1 for a $3.2 million project that added expansion joints in the runway. While the unit’s tankers were heading home, another aircraft arrived earlier for a temporary visit. The first aircraft to use the newly renovated runway was a Boeing 757 arriving for painting at a local business.